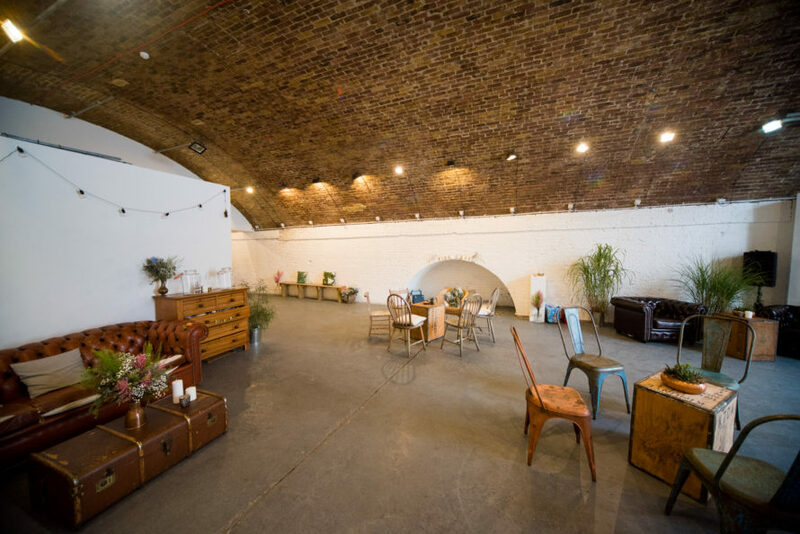 Hoxton Arches is divided into 2 rooms, with access to an enclosed private garden to the rear. The front, and larger, space has direct access to the street and includes a reception area, en-suite toilet, and two movable 12 foot x 8 foot walls that can be positioned anywhere in the room. The standing capacity is 250 people, comfortably seating 80-100 people around tables in the main gallery room.